While they have been rumored to have been floating around for centuries, it wasn’t until around the mid-1800s that Fiji Mermaids became something of a household name. The person to blame for this was none other than PT Branum himself. 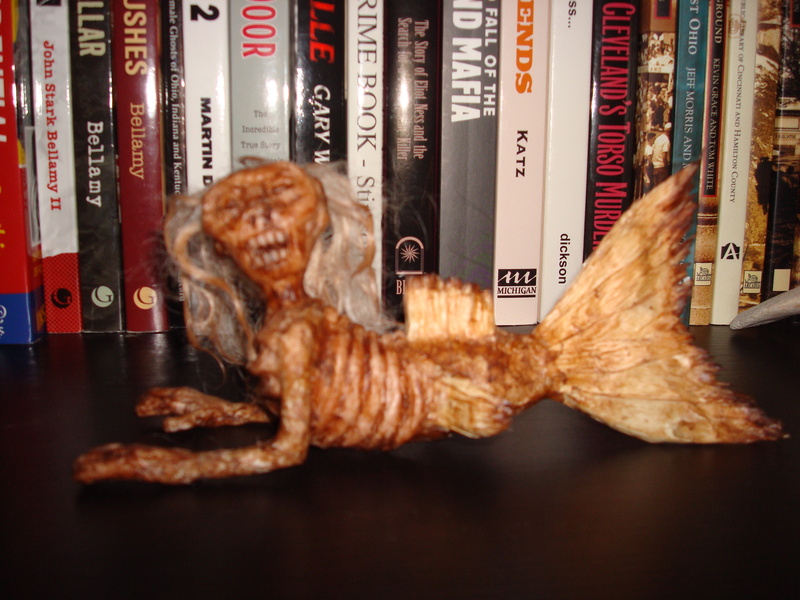 Barnum began exhibiting his Feejee Mermaid, which he claimed were the remains of a mermaid-like creature. Even though most people came to believe the Mermaid was in fact the head of a baby monkey sewn onto the body of a fish, examples of Fiji Mermaids continued to pop up from time to time at traveling side shows and circuses…and even on the bookshelf of yours truly! A perfect addition to the Strange and Spooky Museum! But is it real? I’ll leave it up to you to decide!